The iOS Music icon again evolves—or devolves? Originally the iPhone music app was called iPod, but that soon went out of fashion and Apple opted for the title "Music," which remains today. The most impressive shift of course was between iOS 7 and iOS 8 in which Apple designers went to the trouble of reversing the gradient. I redrew the original icon to see how it might otherwise look today. On the release of iOS 7 Apple chose a bizarre beamed eighth note to replace the elegant design that had graced the iTunes icon for over a decade. That June I presented the potential options Apple could have chosen. It should be no surprise they went with the most discordant one. This WWDC that all changed with Apple Music. The good news was unfortunately tempered by the fact that the glyph was adorned in the most hideous muddy tie-dye texture. Instead of going with their original icon design from the WWDC announcement, Apple opted for a slightly subtler, though still garish, Alan Tie Dye approach. The Verge's take: it looks like Trix Yogurt. (Left WWDC icon upscaled by Nob Nukui). Intriguing: Apple is testing the addition of surface depth on OS X El Capitan. Notice the increased contrast, the thicker font weight and border on the segmented controls. If they keep this in the release, it will be one tiny step out of many more that need to come. Still, it doesn't approach the clarity that existed in OS X prior to Yosemite. Facebook stealthily updated their logo, in the process losing a lot of Klavika's character. There was an uproar about the new Spotify icon. It should not have been surprising, it was par for the course. Consider the description of their rationale for the update: "The new green has a little more "pop" and just feels right at home in our new color palette which has grown to nearly three dozen colors." This description sounds like something straight out of Clients from Hell. Moreover, everyone seemed to miss the real story, which is that brands nowadays believe they can differentiate themselves with a palette of three dozen dissonant colors. I guess the designers at Spotify and the agency they worked with were going by Matias Duarte's axiom: "There are no wrong colors." Iconfactory quietly updated their logo to mesh better with the more rounded iOS superellipse. Cappuccino updated their icon for XCodeCapp 4.0. If anything, it now looks like a vacuum cleaner from The Jetsons. Droplr outsourced the redesign of their brand and what they got in return was an uninspired long shadow. According to Droplr, the redesign was "genius." Instagram flattened out their web client to joyous applause of flatlanders. Very soon, flat fans may get what they asked for in a redesigned iOS icon. 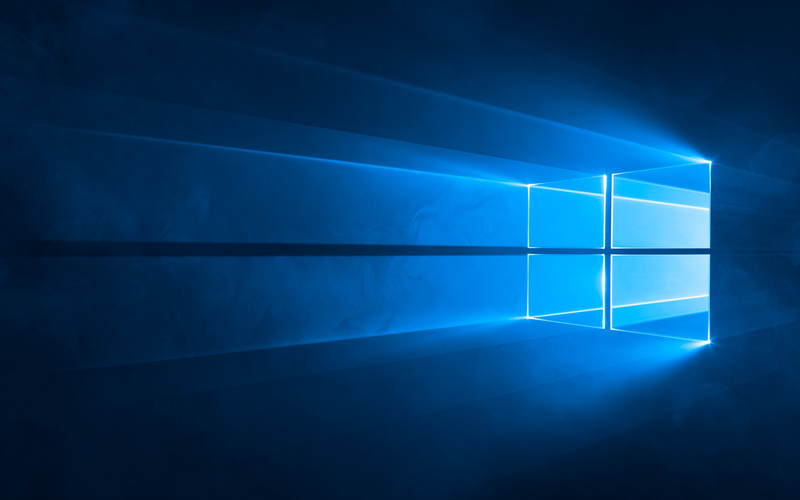 Last but not least, Microsoft released the beautiful Windows 10 wallpaper [made by motion graphics designer Gmunk.